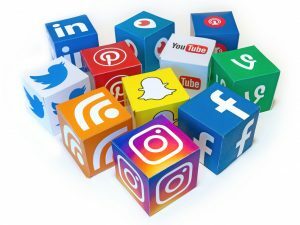 Why Social Media is Important in Real Estate! We all have, or know, about Facebook. Facebook can be a positive light in so many ways of doing business. One of the main staples in the marketing world here at The Group Real Estate, we use Facebook. It’s one of the best ways to connect with friends, with people we don’t know, and with local businesses. The ways of going out and knocking doors are done. There is always merit to face to face interaction and that is the best way to make sure you create, and make, your sales. However, using Facebook to your advantage will immensely help you sell homes. The reason being: more eyes are on Facebook than any other platform. People surf group after group not fully knowing what they want to look for, or why they are looking. They just are. As they surf through these groups, it’s smart to have pictures, blogs, and details all over these groups. Now, what makes Facebook the perfect place for this, it lends to the best way of communicating. Messenger is always up for a text message kind of way to communicate, for questions, for statements, and any other forms of communication you can think of. There is a reason for other branches of social media, though. Instagram. Twitter. Blogs. Linkedin. When you find the best route of social media for you, you need to make sure to run with whatever platform that may be. 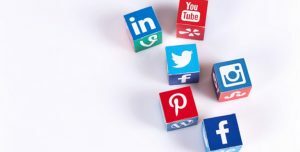 And to take that one step further, you need to know how to use these social media platforms. Facebook being the easiest platform when it comes to all of these. As you use Facebook, you will find that it is very easy to use. Posting pictures. Posting to closed, and open, groups. Reaching out to potential clients. Looking at other listings and people’s real estate businesses. It’s the number one way to socialize through the internet. Now as we move on to the other platforms, know that you need to find which one of these works the best for you and try not to dabble in the others until you have mastered the one platform that you are wanting to perfect. Instagram is the best way to prove this. Instagram is a very popular tool, which has evolved immensely since it was conceived. It used to be there for pictures and pictures only. When hash tagging became a thing from twitter, it was heavily mocked and made fun of. Twitter was using it religiously and it became the brunt of Jimmy Fallon jokes and multiple memes. Well, as you utilize hashtags, especially for your real estate business, you will see that you can garner a very strong presence through Instagram to push your real estate business forward. Pictures are worth a thousand words. I did one very specific blog about this. And this is exactly what Instagram can do. Not only are you able to use pictures to sell your properties, but a small saying will then lead to who you are and where they can find you, which then leads to using a hashtag or twenty to help people flood to your page. Now, unlike Facebook, you need to find your perfect niche on Instagram. Find what you can bring to the platform that no one else on the platform is attempting to do. As you do these things, you will find that you will start to garner more and more followers to help facilitate your business better. And as far as hashtags go, make sure you are looking up the ones that get you business. Nothing wrong with doing a fun hashtag here and there, but make sure you are going the route of getting hashtags that will help you with your business. Blogging is important, as it gets your voice out there. Blogging about things that you love is something that breeds infectious attitude. The idea behind blogging is a fascinating one. The reason being is when someone loves something so much and they talk about it specifically, it makes people want to read even more. When you showcase passion in something, others will want to join in on that passion. It doesn’t have to be something big and grandiose either. Just blogging about the vacation you went on, or the restaurant you ate at will bring in people. As long as your passion for it bleeds through. And eventually you will find what your passion is, to which you will want to continually blog about that. When that moment happens, do not deviate from this. Continuously blog about the thing you love. This type of passion is very infectious and will cause people to come back to your blog more and more. Read up on meta-tags, on tag-lining, and how to link your blog in with other people’s blogs, business pages, etc. Twitter is a tough one. But as you learn more about it, it can be very beneficial. The hardest part about Twitter is making sure that you are following local business and/or local people. This can be difficult at first as Twitter wants you to follow Justin Bieber and the NFL. Once you have set up your own Twitter account, you want to directly link it to your Facebook page. When you do this, it personalizes the Twitter account. And people love to follow someone who is real and true to life. After you have it set up, the most important part of Twitter is making sure that you start conversing. Post, post, post. Then, as interaction starts to happen, make sure that you are being very engaging! The conversations are key to Twitter. Little by little, this will build your base. As you think about what platform is best for you, remember this: just start. If you are new to social media, go with Facebook. If you have an established Facebook page, move to Instagram. And just go forward. Don’t get discouraged. Don’t stop. Let the process work. As you give in to the process and don’t give up, you will see your business rise and become better and better.